So I’ve been thinking, it’s near the end of January and it’s Presidential election year, and I have NO idea who to give my vote. I see posts on social media, watch some of the nightly news, and all I see is thoughts and views from either far out Republicans or very liberal Democrats. Where does one start to do research and find out the facts on the candidates? I don’t want this to turn into people from the right or left bashing each other or pushing any certain side. I guess what I’m looking for is something or be it some one in the middle of the ring. This is a great country, but I believe we have lots of work to do to make it even better and I think we should have a new president who can do that for us. Is that too much to ask? Give me your thoughts, ideas, and facts that will help me choose. What types of things do you do to pick the right person for the job? You can comment at the bottom of this page or post on my social media pages either on Facebook or Twitter, my Twitter handle is @Randolph725 Thanks in advance for your sincere ideas and concerns! How many of you gone in the grocery store lately and seen a label on a package of meat that says “Farm Raised”? Did you think twice when you saw this label? There are so many marketing ploys out there now with food labels and you really have to think twice on what you’re buying. My favorite label is the one for free range chickens; did you know that for an animal to be considered free range it just has to have the availability to range? You could also have a trough full of yummy corn in the barn that the livestock really enjoy! Shocking right? The consumer buying said animal may see the a difference in price at the cash register from $.25-.50 per pound. That adds up fast if you’re feeding a family. Grass Fed – unless Certified by the USDA, any animal fed grass could have the label Grass Fed on it if it was fed grass during it’s life cycle. 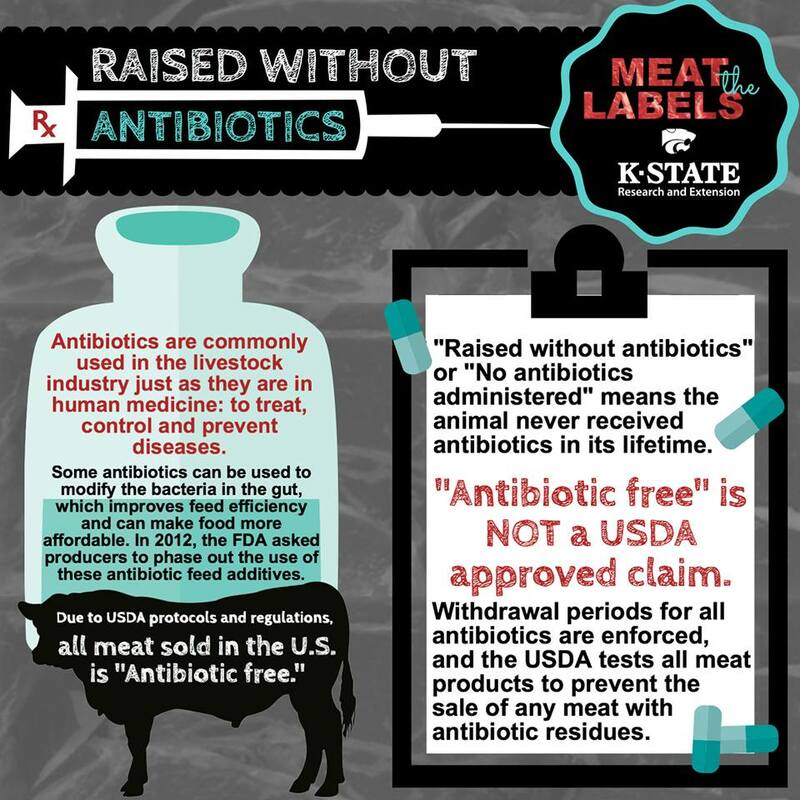 Farm Raised – All livestock sold in the grocery store are probably farm raised. I mean seriously, how many pigs do you know raised in a town home? If you are paying more at the meat counter for any of the above claims please beware that it’s probably not necessary. The good and bad of having great marketing campaigns out there is that we can sometime be mislead by the slogan or phrases that they give us. If you’re ever in doubt head on over to the USDA Meat and Poultry Labeling Glossary This will give you a good idea of what you’re seeing on your label and if it’s what you’re wanting to buy. Another good reference is the USDA Food Labeling Fact Sheets website, it gives great insight into all things to do with food labels from allergies to safety. The moral of my story today, beware of what you buy, but when it comes down to it, eat meat, it does the body good! Happy December everyone! Here in Minnesota we have just gotten done battling our first winter storm of the year, OK battle might be a bit strong, but we got some snow. Now when you think winter the idea of showing poultry doesn’t usually come to mind, but today the state of Minnesota decided that poultry will be able to be exhibited again at our local county fairs and state fair. This is a great gain in the poultry industry as last year there were no poultry exhibits at the fairs because of the break of Avian Influenza. Now I’m very excited to hear that there will be chickens, ducks, and turkey’s shown at the county fairs again, but I think the poultry industry has some things to remember and learn from last year and years past. When I was working in Extension for Sibley County and attended a livestock seminar at the University of Minnesota I heard many horror stories from the outbreak. The biggest thing I learned was that if you see a problem, report it! The first sign of Avian Flu brought about insecure employees not knowing exactly what to do. Their first step should have been to contact their flock veterinarian and if the signs pointed to more than just a few sick birds, get help ASAP. There needs to be blood tests performed immediately and in some cases there needs to be effective testing done on the carcass of the birds. I know that this is not what farmers want to do, unnecessary death of birds, but to figure out the true culprit of what is making their flock sick, it may come to that. I saw so many pictures and figures of birds that were killed by the Avian Influenza infection and only one word sums it up completely, sad. The number of birds lost to this disease brought about changes in ecosystems where there were mass burials and also brought about large amounts of labor needed to dispose of the bodies. The labor force that was brought in to dispose and clean the barns also had a tough time staying “clean” or keeping good bio security. When you bring in different people, staying at various hotels, all in a small town, it makes it very tough to keep vehicles “clean” and to not bring about disease transmission. All of this cleanliness and bio security has to be in place at the fairs as well. When birds are brought for exhibition they need to be disease free and there should be no exceptions. I’m a huge supporter of the poultry industry and exhibiting livestock, but it there needs to be guidelines in place for the industry so that we don’t have the same disaster we had in the spring/summer of 2015. Kudos to the industry so far for keeping the barns and flocks clean! Let’s keep up that hard work and determination to provide healthy meat for our consumers, because in the end that’s what we’re here for, to provide and feed the world. Hello friends, family, and internet world! As we near the beginning of the holiday season I have a wish to be granted. Many of you know I’ve gone through a lot since 2008 when I came down with GBS. Since then I’ve been through many ups and downs with my wife and family. In 2013 I was diagnosed with End Stage Renal Disease, which means that my kidney’s were no longer working properly. I’ve been on dialysis ever since, going three times per week for on average four hours per day. It has prevented me from having a full-time job and some days I get really tired, worn out, and get head aches. This past week I started work up for a kidney transplant at U of MN Medical Center – Fairview in Minneapolis/St. Paul. I was surprised to hear from my team of doctors and workers up there that I should start looking for a living donor! That will be my best chance at getting a kidney transplant as waiting for a deceased donor can be a long wait and with my difficult case a living donor is a much better option. If you are interested in learning more about being a donor please go take a look at U of MN Medical Center’s website U of MN Donor page This will be a great place to find information on transplants and organ donation. If you feel so inclined and want to start the process of possibly giving up a kidney (you only need one anyways 😏) you can start the process by going to Living Donor Page I would forever be in debt to you and would love having the chance to be able to live more of a “normal” life again! I know that giving a kidney isn’t possible or not for everyone, but if you could PLEASE share my blog post and story on social media I’d really appreciate it. I thank you for your time and consideration and THANK YOU THANK YOU THANK YOU in advance!